We have teamed up with changing bag brand to the stars, Ju-Ju-Be, and are offering four lucky winners the chance to win one of their elegant Everyday Totes worth £125. The shoulder bag comes in a beautiful plum coloured vegan leather, with brushed metal rose gold hardware and luggage feet. The zipped top encloses a light coloured interior, with 4 pockets, 1 zipped pocket, 2 insulated pockets, a key fob, a quick reach pocket for your mobile phone and a changing pad, helping you to be super-organised when out and about with little ones! All of Ju-Ju-Be's bags are antimicrobial treated to inhibit the growth of odour causing bacteria, mould and mildew, and come with a lifetime guarantee against defects for that extra peace of mind. 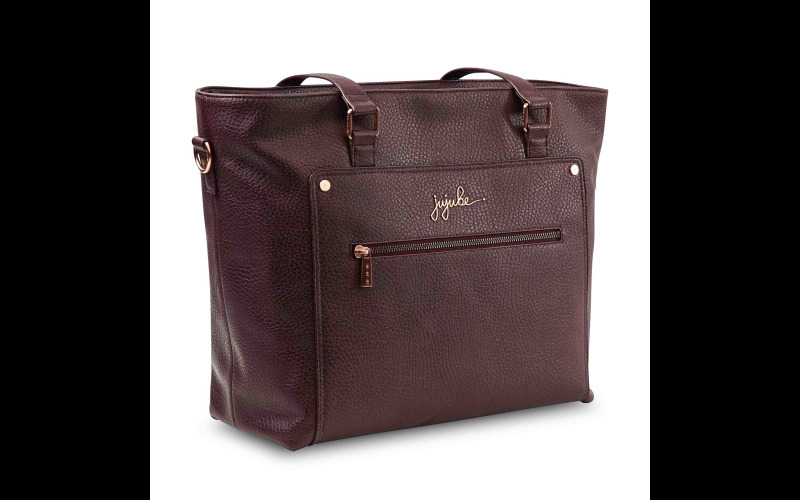 Since it launched in 2005, Ju-Ju-Be has been America's best-selling changing bag brand with a cult following which extends to high profile parents including Sarah Jessica Parker and Justin Timberlake. Closer to home, our very own Tom Daley and Ferne McCann have been spotted with the bags. The brand has now launched in the UK with a European website, so we can all get our hands on one of their very stylish bags!